The First Years Bottle Warmer & Drying Rack Bundle Just $16.97! You are here: Home / Great Deals / Christmas Deals / The First Years Bottle Warmer & Drying Rack Bundle Just $16.97! 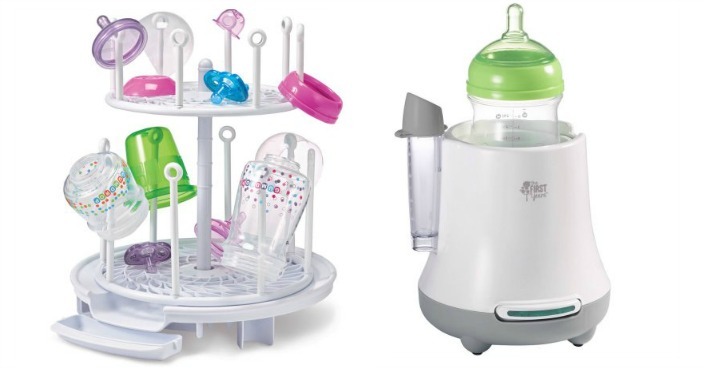 Right now you can get this The First Years Bottle Warmer & Drying Rack Bundle for just $16.97 at Walmart! The baby bottle warmer fits wide, narrow, angled, and disposable bottles. Recommended for babies from birth on up.